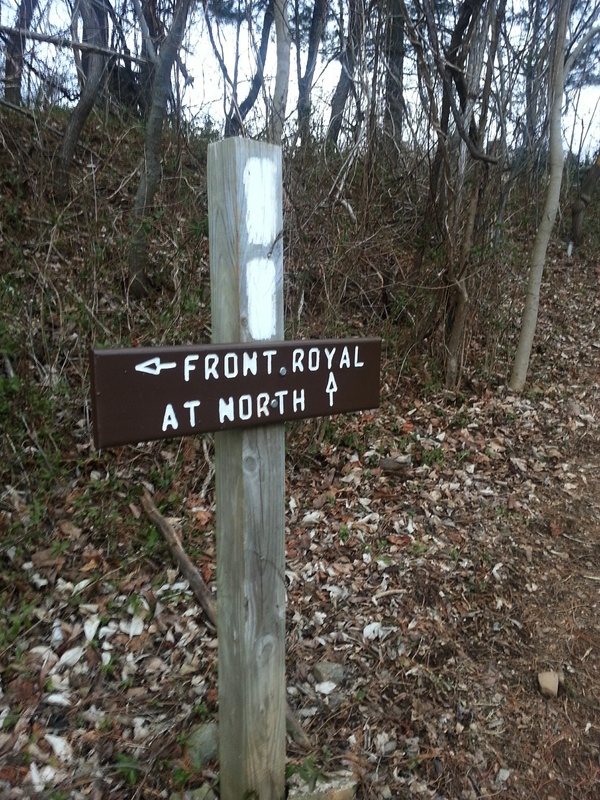 Cabin fever, the very quickly approaching Spring semester, and a goal to hike half of the AT through Maryland in one day this summer had me flying down 340 headed for Front Royal, Virginia and the trail head at US522. I left my house in the dark, hoping to step on the trail at sunrise…I was using this hike to set a baseline for training for my “Half MD” goal this summer. The shorter winter days meant it might be starting to get dark at 4 PM. Since I was hiking alone I really didn’t care to be hiking back to my car in the dark! As it turned out I started hiking at 8 AM. It was already past dawn, but it was still not completely light outside. I love to be in the woods in the early morning. Everything is so quiet, then the birds wake up and chatter at you up and down the trail. Stepping on the trail just after dawn. First part of trail is alongside 522. Nice pine trees and soft trail here! Survey marker as the trail makes a left away from 522 and proceeds up the mountain. 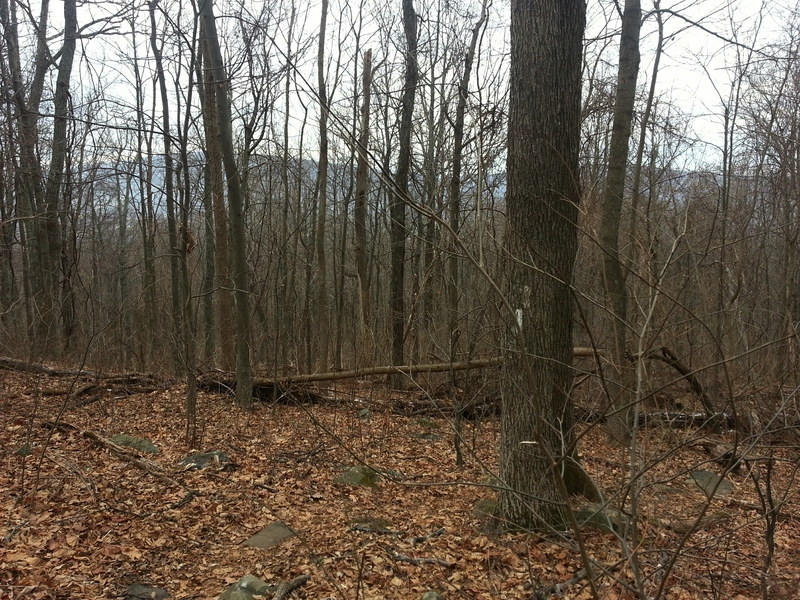 The trail up the mountain sidled up against the National Zoological Park Conservation and Research Center. Once at the top, the trail pulls away from the Park and cruises nicely along the edge of the mountain before descending to cross a gravel road that headed up into a neighborhood of mountain houses, some of which were quite large! 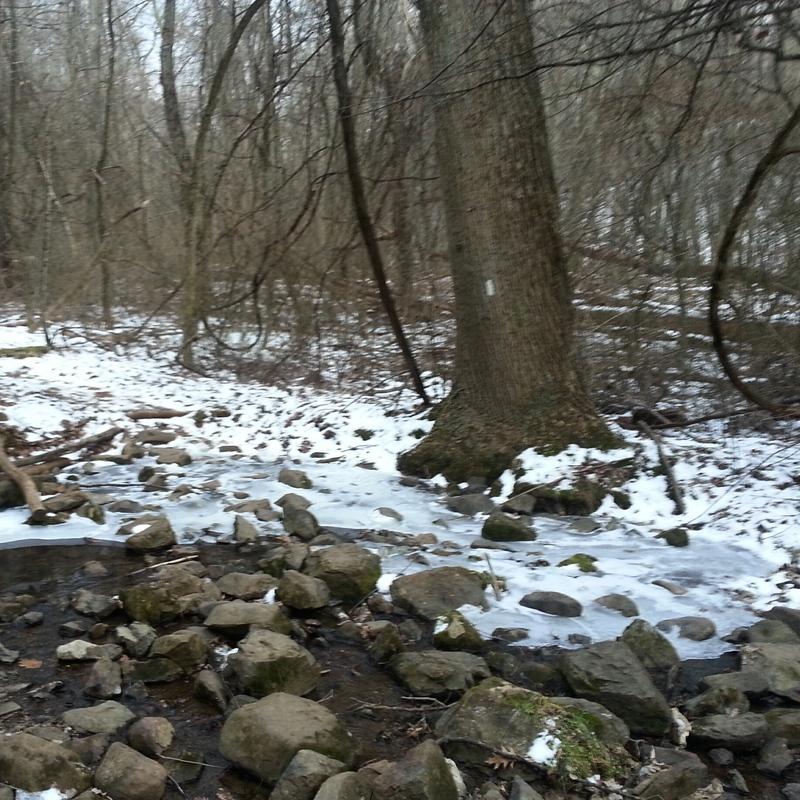 Not a great pic…but a stream crossing! Luckily the ice had melted on the rocks…although I did have my spikes in tow! The elevation map made the climb look daunting with a climb of 1000 feet in the first two miles, but it didn’t really seem to register with me on this early morning. What I did think about, on my way up, was how this morning felt like freedom. It really did. It had all the promise of the first warm day of spring…adventure without a time limit! I was just out for a walk, just to see how far I could go. I was loving it! Winter view south back to Shenandoah National Park. After the road crossing, I found a nice log to sit on and take a break. The temps were rising, but the sun had yet to make to this side of the mountain. My log seat was quickly freezing my back side, so a quick break it was! Headed on to the shelter for a longer break! The Denton Shelter is not listed! This sign is close to Mosby Campsite. Denton Shelter on the AT in VA…Nice break spot. Lunch at the shelter had revived me! It was now 11:45am and I had a choice to make…walk another mile down hill to VA638 or turn around now and walk the 5 miles back to my car. One more mile downhill would have meant one more mile uphill and a total mileage of 12 miles for today…I was so close to doing it! But I decided to turn south after leaving the shelter …towards my car…shoot for the 10 miles …take time to enjoy the walk! 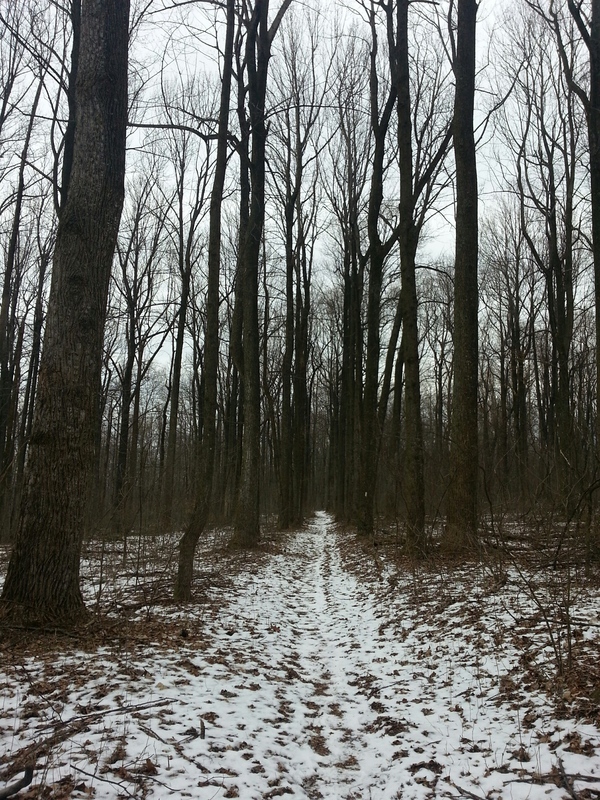 Walking back through the snowy woods. I had forgotten how good it feels to hike alone. This hike just left me with such a great feeling of … jees, I cannot describe it…just an amazing amount of control over my life and a great sense of freedom! Loved it! Hike on…sometimes with others and sometimes by yourself…hike on!